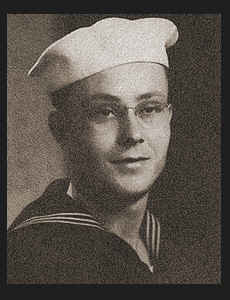 MM 2/c William L. Morris, son of Mrs. Ida Morris, graduated from Cordell School; husband of the former Marylene Owens. Entered Coast Guard in Dec., 1941, trained in St. Petersburg, Ft. Myers, Miami Beach, Fla. and Curtis Bay, Md. ; is now on duty in Miami Beach, Fla.